CINEMA-TOOLS BETA IS NOW LIVE! We are delighted to have released the first batch of calculators for beta test. We hope that you find it enjoyable and time saving using the tools and that you can help us by letting others know that they are now available for them to use as well. One particular feature that will continue to develop is the projector location calculator database, just let us know if the model that you require is not featured and we will investigate if the reliable data we need for the calculations is available. 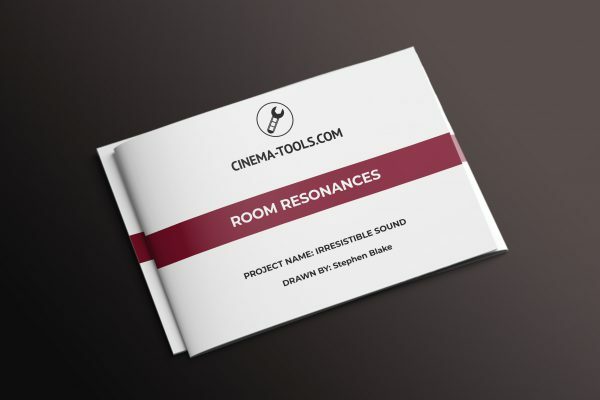 Room Resonances Calculator – NEW! If you have comments, ideas or issues with the calculators or would like to suggest more solutions that we should feature, please let us know by contacting us HERE. Finally, please note this is a BETA release and errors may be possible. We rely on manufacturer supplied data so please verify the output of our reports with the supplier before making any commitments.